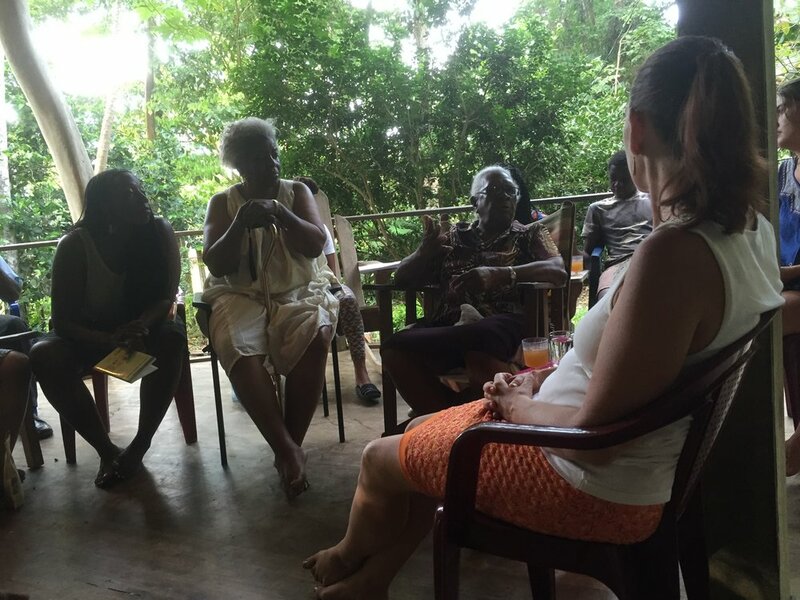 A total of 40 people participated in the Afro-Botany Conference, with a range of 15 to 30 people per individual activity. Ten of the forty were teachers, 7 were volunteers / staff of Hidden Garden, 3 volunteers from Rich Coast Project, 7 paying participants and 13 members of the community who participated for free. The costs for community member participation were covered by Hidden Garden and other event sponsors. 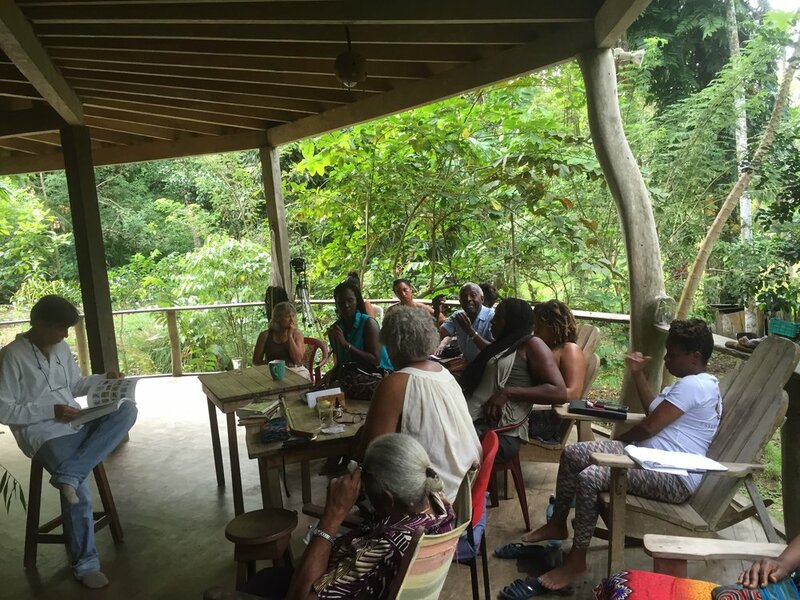 The Afro-Botany Conference is one component of a long-term collaboration between the Rich Coast Project and the Hidden Garden Ethnobotanical Sanctuary to address a lack of documentation of the historic practices of the Afro-Caribbean communities living in the coastal lowlands of Costa Rica’s southern Caribbean coast. Visit the Hidden Garden website for a full report of the 2017 Afro-Botany Conference activities and accomplishments. Thank you to the volunteers from Indiana University who helped build the African Sacred Grove during their Alternative Spring Break trip in March 2017.